The Roland HP704WH provides the style, performance, and pristine sound projection you’d expect from a premium studio piano. With its sleek, sophisticated cabinet design, this digital piano makes a statement wherever you play it—and a range of finishes ensures it fits in anywhere. 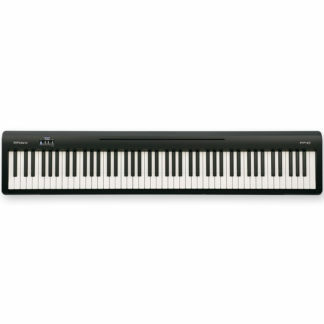 The advanced PHA-50 keyboard, onboard tutorial features, and Bluetooth connectivity with music apps mean you’ll always be inspired to play, explore and improve. And the tall, elegant cabinet houses a powerful four-speaker audio system that delivers dynamic, room-filling sound as you perform—or while you relax by streaming your favorite tunes. A great-sounding piano must look good too. 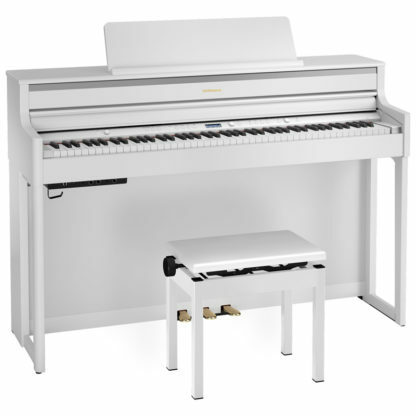 From the tall-yet-slim cabinet to the elegant front legs and sophisticated curves based on the design concept of the Roland’s flagship LX Series, the Roland HP704WH draws you in and compels you to start playing. Each finish has been carefully selected and meticulously manufactured, so you can choose a piano that truly looks at home in your living room. Also, the cabinet is designed to deliver the best possible sound, regardless of where the piano is situated. Available in polished ebony, charcoal, dark rosewood, light oak and white. 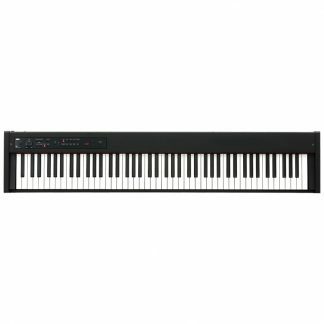 Express yourself with the Roland HP704wh responsive PHA-50 keyboard. A great sound makes you play better. 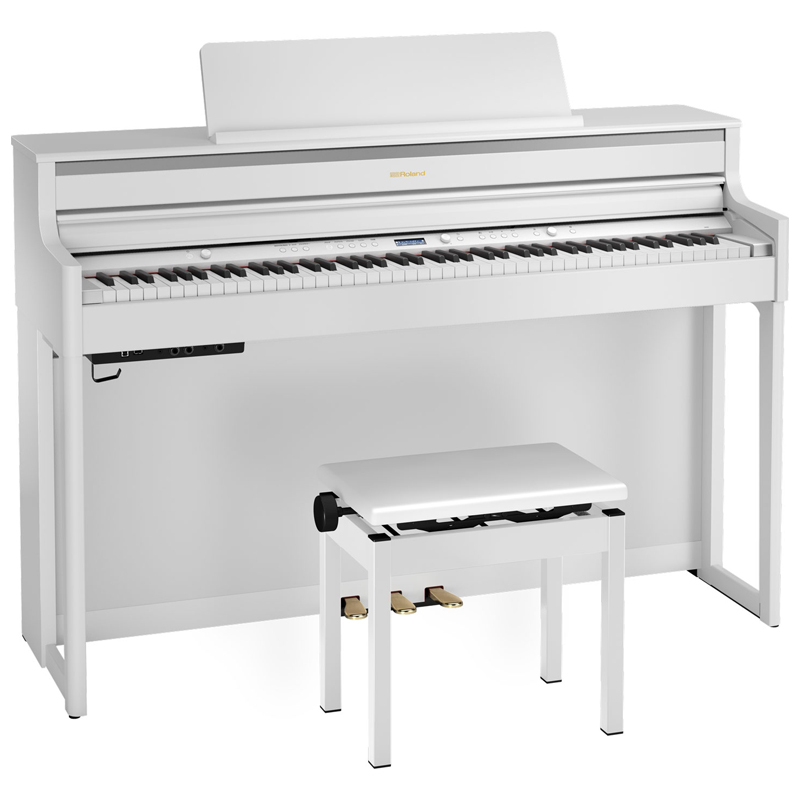 The Roland HP704WH’s SuperNATURAL technology captures the essence of an acoustic piano in every note. And as you play, your performance comes to life through an advanced four-speaker Acoustic Projection System that delivers sparkling highs, warm lows, and everything in-between. The four speakers are configured as two pairs inside the instrument, and each pair is optimized to deliver superior sound reproduction across the piano’s vast dynamic range. Whether you’re playing or streaming music, you’ll hear every note in immersive, crystal-clear sound.